Wonda started locking and popping at 9 years old, and bboying at 16 years old. Her older brother, Alfred, introduced Hip Hop in her life, and family is what influenced, mentored, and supported her to keep going down that path. Her brother Pop Finom, is a member of the popping crew in Los Angeles, Funny Bones Crew. Her first teacher in bboying was Kz at the Recreational Center in Oxnard called the P.A.L. Oxnard,CA where at 15 years old, she got into a hip hop crew called, P.L.A.N.E.T. OX. She is also a former member of Concrete All Stars in Los Angeles, California. 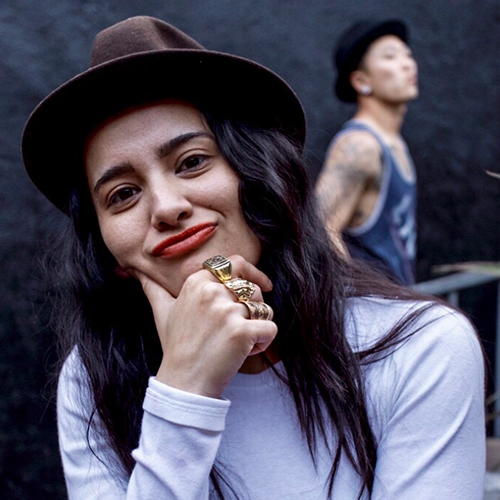 Her first jam was Asia One’s Bboy Summit, and her inspirations include Alien Ness, Mad Nico, Casper, Jeskilz, Evo: Demon Smurf, Asia One, Kmel, Beta, ABgirl, Concrete All Stars, and Jesus Christ. She is a mother and actively teaching the youth about bboying in her hometown of Ventura, California. Wonda’s goal is to always try to walk the walk rather than just talk. Skills and truth is what matters.